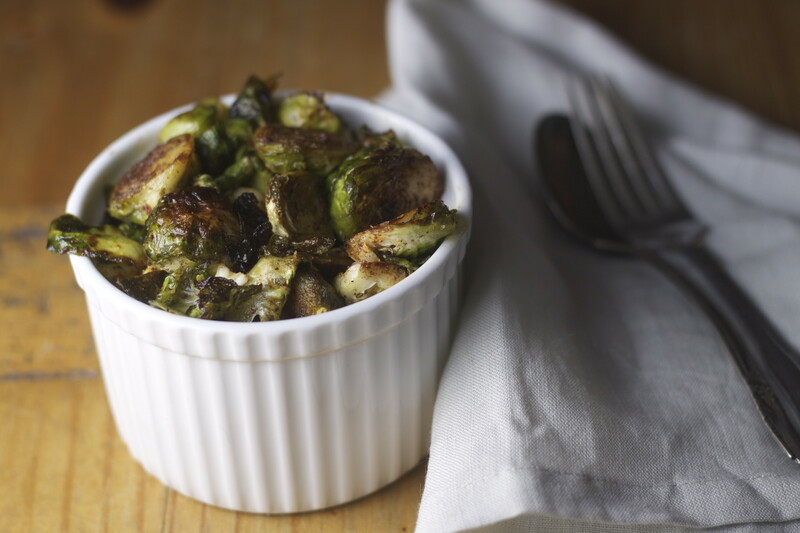 This recipe is adapted from a recipe that Mardi from Sprout & Pea‘s mom gave to her. It can be made vegan if you replace the butter with olive oil! Bring vegetable broth and butter (or olive oil) to a boil in a sauce pan. Add in couscous, stir and remove from heat. Let sit covered for 12-15 minutes. Fluff with a fork. Add scallions, currants and pistachios and toss together. Season with salt and pepper. In a bowl, whisk lemon juice, olive oil and cinnamon together. Toss cous cous with dressing to coat. Season again if needed. Last weekend I threw a dinner party at my apartment for six of my lovely friends. Work has become increasingly busy as we head into wedding & events season (I’ll be helping seven awesome couples get married and four teens get bar/bat mitzvahed over the next three months), so I wanted to get people together for one last hurrah until I have more free time again in July. I made a giant feast of Mediterranean & Middle Eastern inspired meze. On my search for ingredients, I visited Kalustyan’s in Flatiron. The store is incredible and full of any sort of specialty item you could imagine and I’m in love. 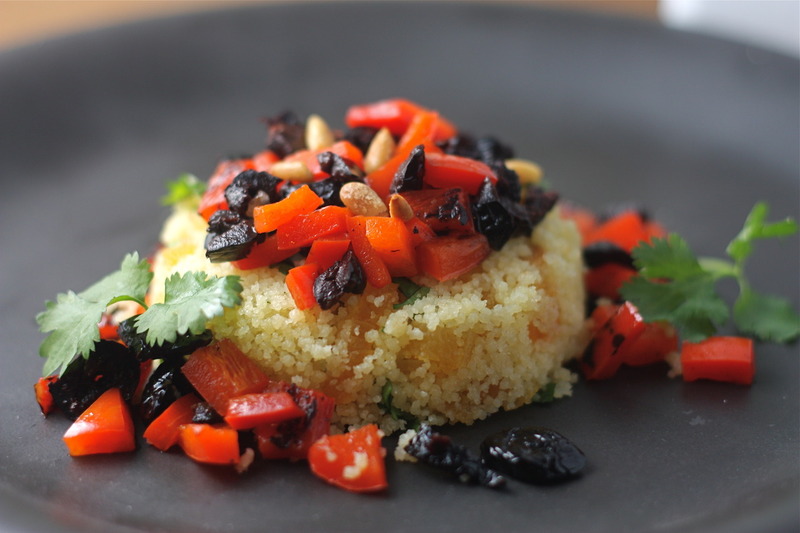 This cous cous dish is a nice balance of savory and sweet and can be tossed together as a nice side, or served layered like I did. Prepare cous cous as you’re prepping the other ingredients (should take about 10 minutes max. Preheat oven to 350. Toast pine nuts on a baking pan until they start to brown. Remove from oven and set aside. Remove top and seeds from the red pepper and cut into large pieces. Toss with olive oil and season with salt. Grill on a stovetop grill until soft and starting to blacken, grilling both sides of the pepper. Remove from heat, chop into small pieces and put into a small bowl. Chop olives (removing pits) and toss with the red pepper. Chop up dried apricots into small pieces. If using cilantro, chop into small pieces. In a bowl toss cous cous with apricots, pine nuts and cilantro. Season with salt. 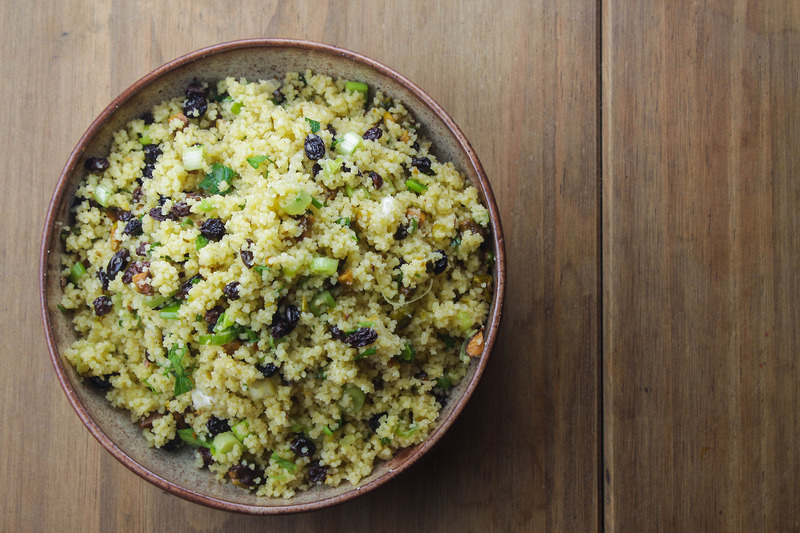 Spoon cous cous onto plate or into a bowl and top with red pepper and olives. You can toss everything together if you’d prefer. Serve warm. It’s peak sweet potato season… and whiskey is in season all year round. Bring a pot of salted water to a boil. Add sweet potatoes and boil until soft. In a pan, melt 2 Tbsp of butter. Add add apples and saute until slightly soft, but not mushy. Drain sweet potatoes and put back into pot. Add sauteed apples and cream and mash until potatoes are smooth. The apples will retain their shape. Salt to taste and keep warm as you make the sauce. In a saute pan, melt remaining butter. Add brown sugar and whiskey and whisk together over low/medium heat until it reduces a bit. 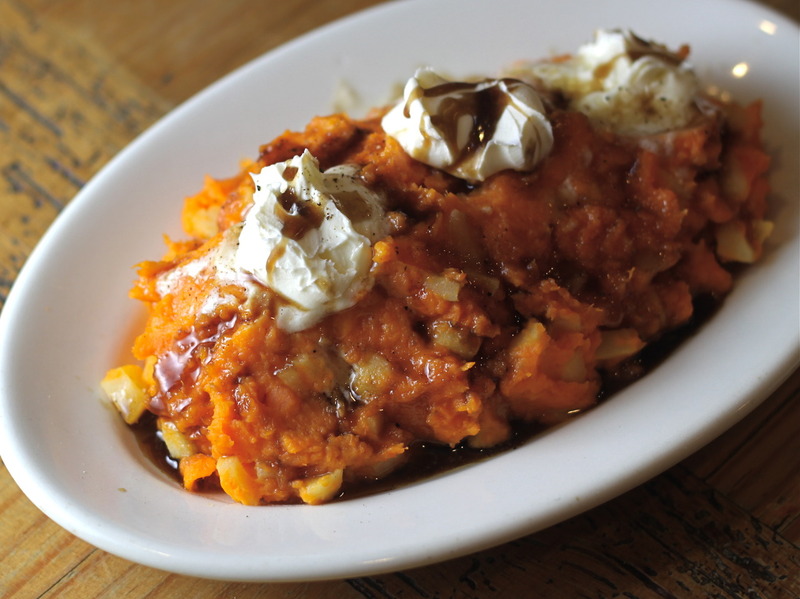 Serve sweet potatoes hot topped with mascarpone and drizzled with whiskey sauce. Depending on the size of your Brussels spouts, either cut in half, fourths or leave whole. In a saute pan, heat olive oil. Add Brussels sprouts, toss in olive oil and season with salt. Begin to cook over medium/high heat, turning often to brown evenly. It’s ok if they get a little crisp. In a bowl, whisk together vinegar, Sriracha, sesame oil and sugar. 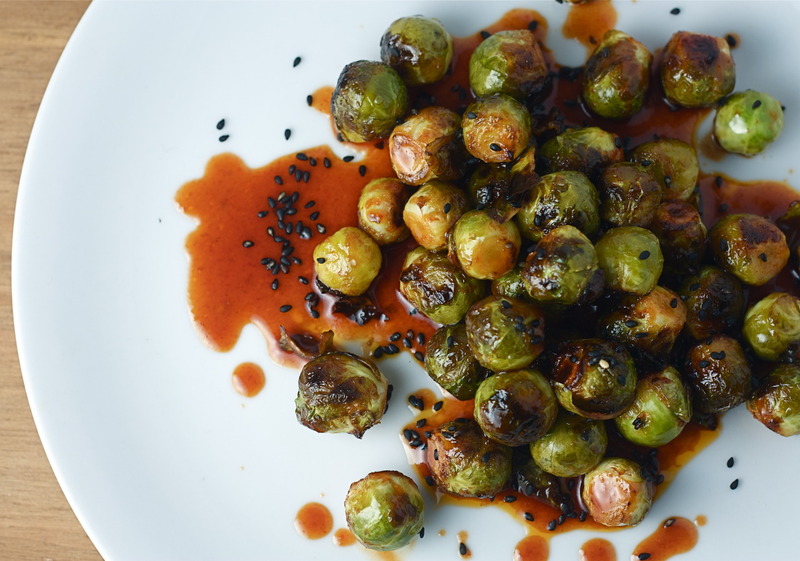 Once Brussels sprout are cooked through, turn down heat to medium/low and pour Sriracha mixture over the sprouts. Toss to coat and turn up heat towards medium/high. The sauce will begin to bubble, so be careful not too burn. Once the sauce starts to reduce and get a little sticky to coat the sprouts, remove from heat. Move to a serving dish and garnish with toasted sesame seeds.